The Aesthetics of Composition in Abstract Painting: Artwork of the month: The most popular item at the MIA. Artwork of the month: The most popular item at the MIA. 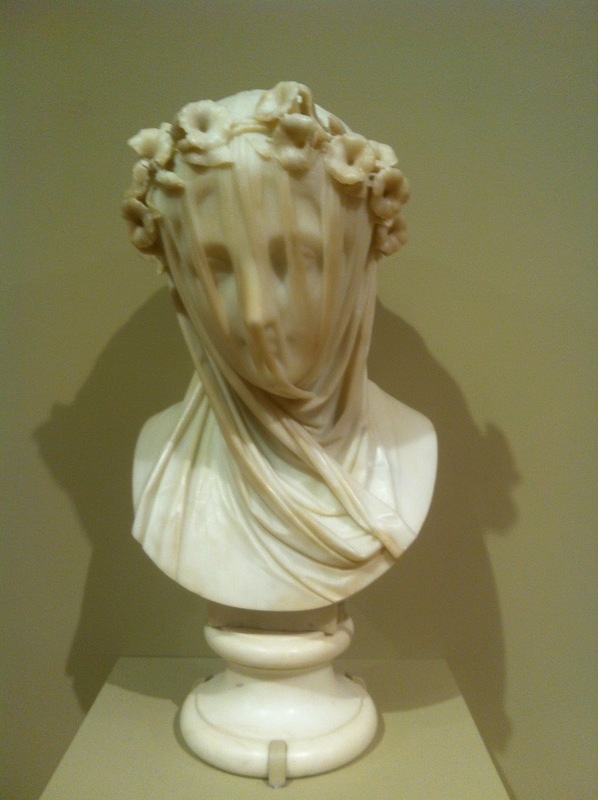 If there is one thing that I can count on at while working at the Minneapolis Institute of arts is that someone will ask me where the "Veiled Lady" is. The Veiled Lady is the most popular work of art at the MIA. There is a good reason for it, it is simply amazing. 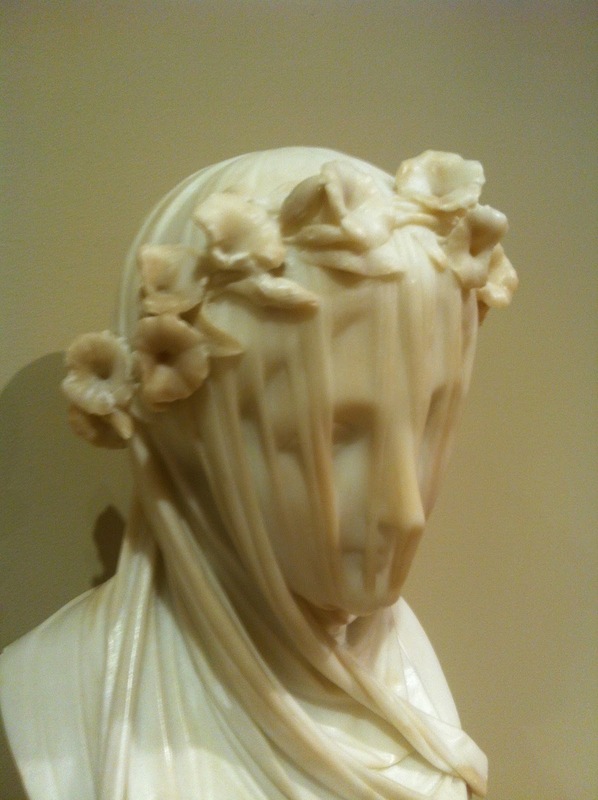 The marble was sculpted to look as if the woman was wearing a veil, and it truly captures the illusion. This is a magnificent work of art. 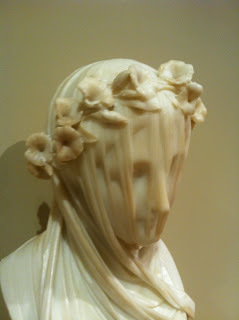 Albeit, this type of sculpture was extremely popular in Italy during the late 1800's. 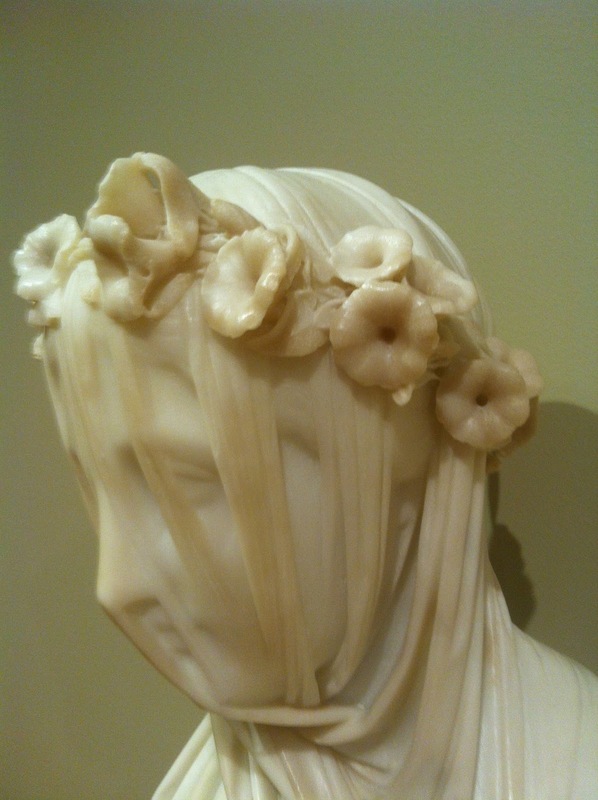 Regardless of this type of sculpture being common, this is a masterwork. ...ask a security guard where it is.